Being a new parent means you have to learn a lot of new tricks that probably never crossed your mind before having kids (I'm looking at you bulb syringe). But one of the most useful tricks to learn is how to be a baby sleep detective and read those illusive sleepy-time cues. So dust off your Sherlock Holmes hat, grab your magnifying glass, and join me in my latest sleep investigation blog post! This week's newsletter also features a guide to maximizing your kiddo's parent time, a super-exciting announcement from What's Up Moms, a new podcast suggestion for parents struggling with an anxious child, and an incredibly cute baby shop that has me wishing for winter already. It's elementary my dear parents...let's go! I get a lot of questions about newborns and sleep, and my answers often reference the importance of being mindful of those sleepy cues our little ones pass on to let us know how they're feeling. We all experience this scenario at some point: Your little one goes from being in the "I'm sleepy" state to the "I'm overtired" state in a matter of 3...2...1...BAM! Ok, maybe not that fast, but it sure feels that way when you're a new parent. In this week's blog post I share your best bet to get your new bundle of joy to go down tear free. It's all about timing, being a baby sleep detective and investigating your little one's sleep cues...and of course, being mindful about how long they've actually been awake. 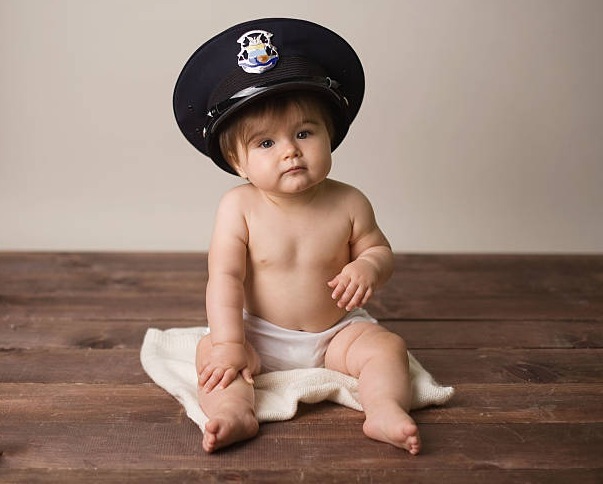 And if you need another detective on your baby sleep case, don't worry, I've got ya - go here to schedule a FREE 15-minute call with me and we can chat about it! Our roles as parents are all-encompassing and all about time management - just like our "real" jobs. What I love about this Medium article is it asks you to think of your time as a parent not as this big, infinite and limitless list of responsibilities, but breaks it into a simple structure to make sure you and your littles get the most out of your time together. 3. EXCITING NEWS ALERT: CHECK OUT THE NEW WHATSUPMOMS.COM! Guess what!?! What's Up Moms has a new website and it's a MUST SEE! One of my favorite new articles on the site is about when you should start disciplining your baby. It has some great tips about "what to keep in mind" and "what you can do now" when, for example, your little one pulls a cord or decides to climb that bookshelf. Eek! Realizing your kiddo may be more anxious than the next child can be an overwhelming feeling and learning to ease their stress and teach ways of coping is easier said than done. But like I often say...you're not alone in this. On this episode of the Parenting Survival Podcast host Natasha Daniels shares five tips you should know if you're raising an anxious child. It's definitely worth a listen. If you're a regular reader of this newsletter you know I LOVE to feature online shops that sell super cute and unique baby stuff. This week I want to introduce you to Lenny Lemons: an adorable clothing, accessory, and now diaper bag retailer. I know we're just hitting fall...but I really can't wait for the winter after seeing this adorable mommy + me beanie hat. And if you don't already, follow them on Instagram where they feature some of the cutest things you won't want to miss.